Saturday 4th November was a wild, wet day. 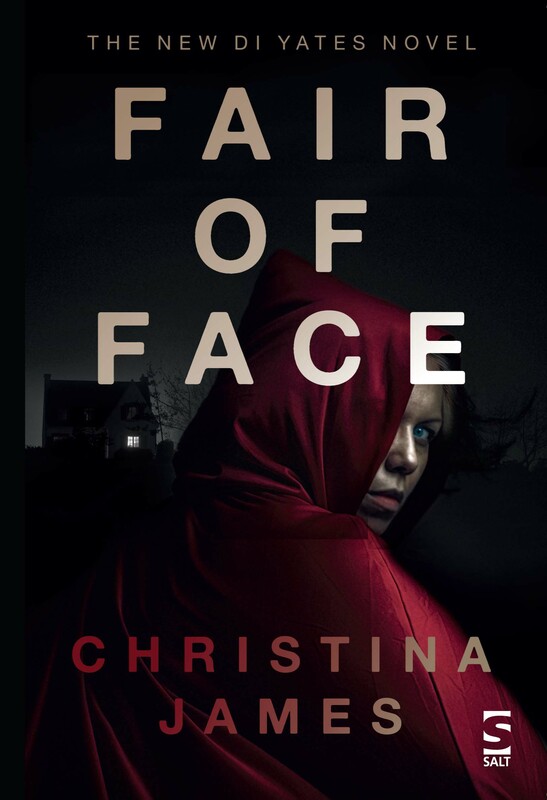 The rain came bouncing down on the A1 as I headed for Walkers Bookshop in Stamford to sign copies of Fair of Face. In places, the water stood inches deep on the road. The lorries tossed out spray which severely restricted visibility. A Reliant Robin three-wheeler (I hadn’t seen one for years!) went bombing along at 70 mph and almost aquaplaned. It was a relief to reach Stamford, always a haven of civilisation and peace, and, even better, to arrive in time to indulge in a cappuccino and a huge, home-made cookie at The George Hotel, before going ‘on duty’ at Walkers. 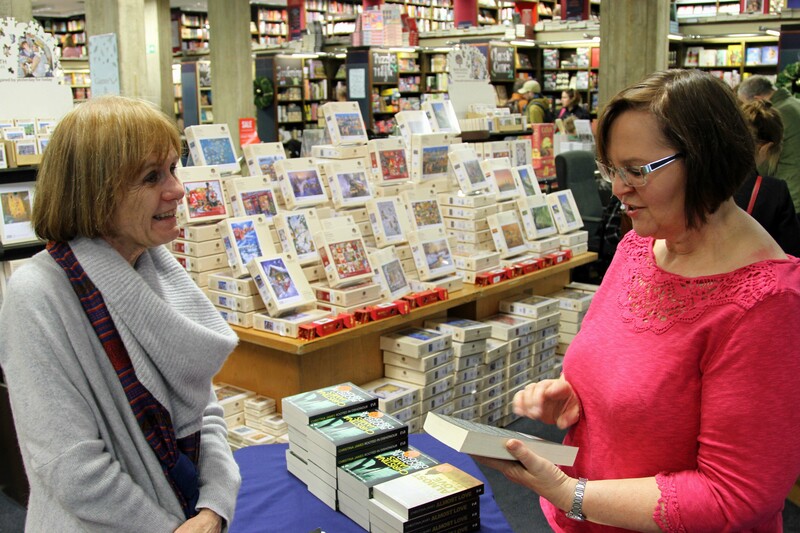 I received a wonderfully warm welcome from the staff at Walkers, as I always do – and, as always, I appreciated it: I know how busy bookshop staff are, especially on Saturdays, and I’m very grateful when they spare time to look after me in addition to everything else they have to do. 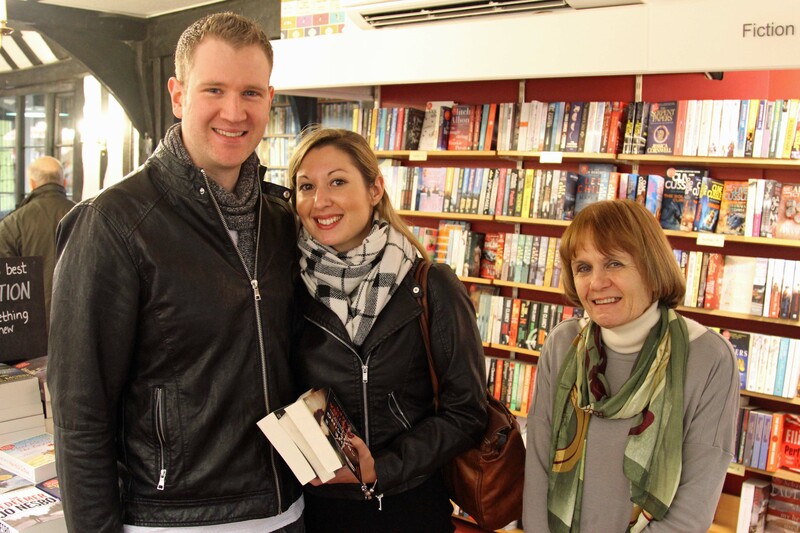 The rain didn’t deter Walkers’ customers from venturing out from home. They continued to show up steadily throughout the three hours I was there, some very windswept, some clutching wet umbrellas, all dressed in sturdy waterproofs, boots and hats. It certainly felt as if winter had suddenly taken Stamford by storm, but with it came a sense of excitement, a feeling that there was celebration in the air. I suppose this may have been because it was one of the first weekends when people really start to think about Christmas shopping, but well before they begin to feel jaded and harassed by the whole prospect of coping with the ‘festive season’. 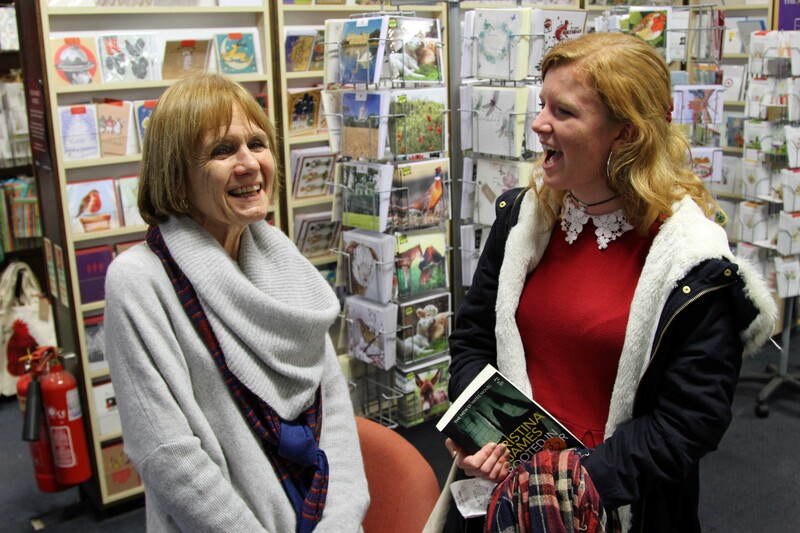 another was bought by an author of Young Adult books who told me that she’d given a signing session in Walkers herself and was strongly in favour of supporting local authors. 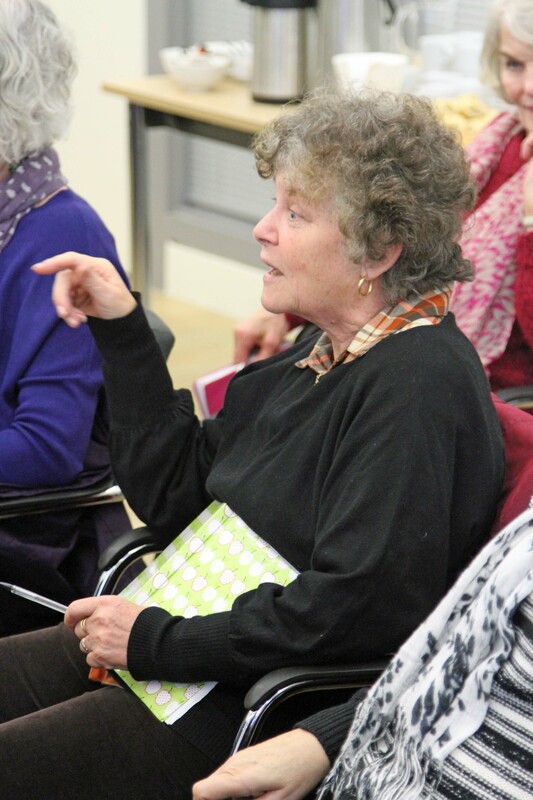 She said that her reading group might be interested in hearing me speak. 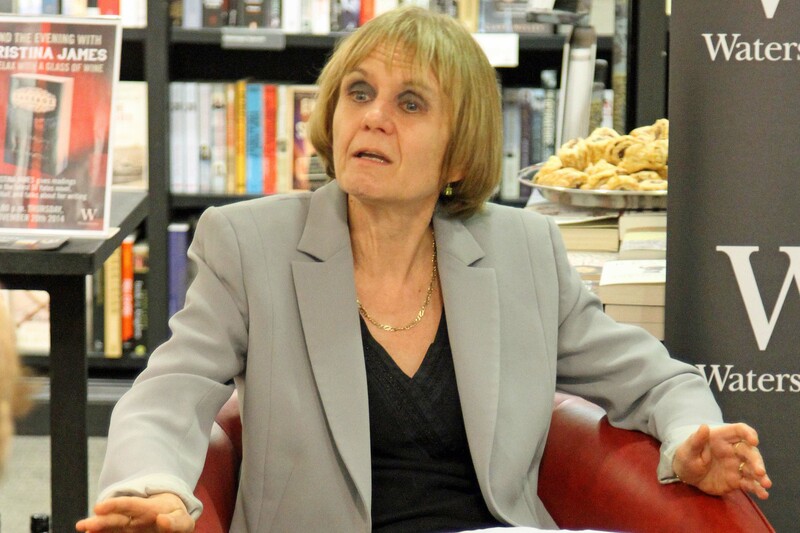 If she reads this post, I’d like to thank her for a fascinating conversation and to say again that I’d be delighted to speak to the members of the reading group if indeed they’d like to hear me. I’m never bored in bookshops: it’s a great privilege to be allowed to sit in one for several hours and just drink in the atmosphere. My time at Walkers was over only too quickly, but I took away some very pleasant memories that I know will stay with me. 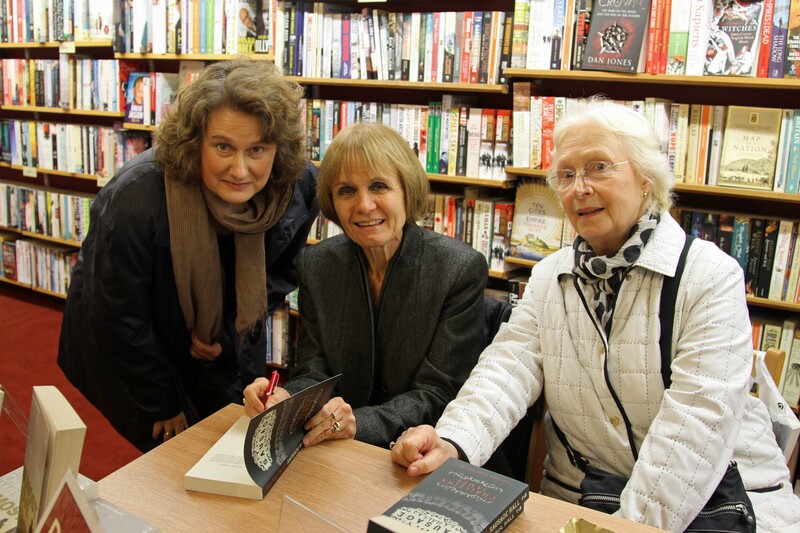 I’d like to offer heartfelt thanks to Jenny Pugh, of Walkers Bookshop, Stamford, for making the signing session possible, and also to thank all of the staff there, particularly those who were working on the top floor, for their kindness and generous hospitality. 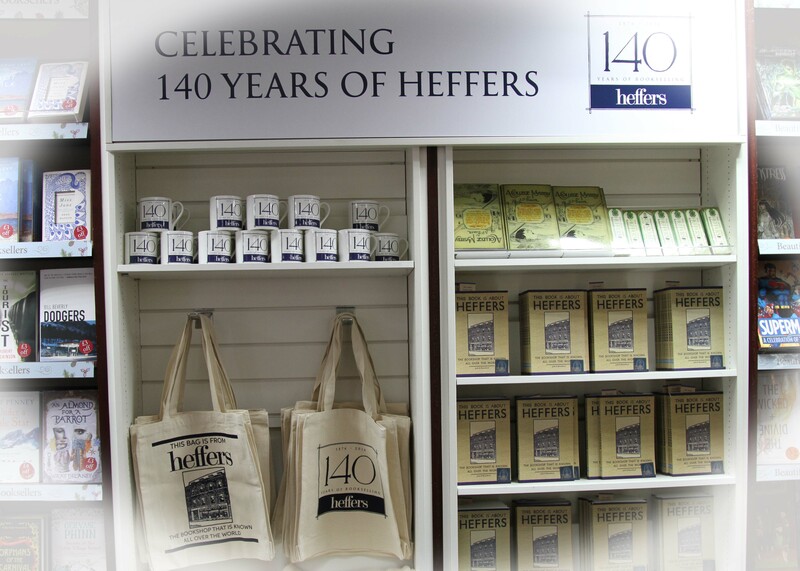 Celebrating in 2016 its 140 years of selling books in Cambridge, Heffers is one of the nation’s great classic bookshops, a national treasure. It’s always been a privilege to visit it. Even better, from my point of view, it’s home to Richard Reynolds, perhaps the country’s best-known crime bookselling connoisseur. 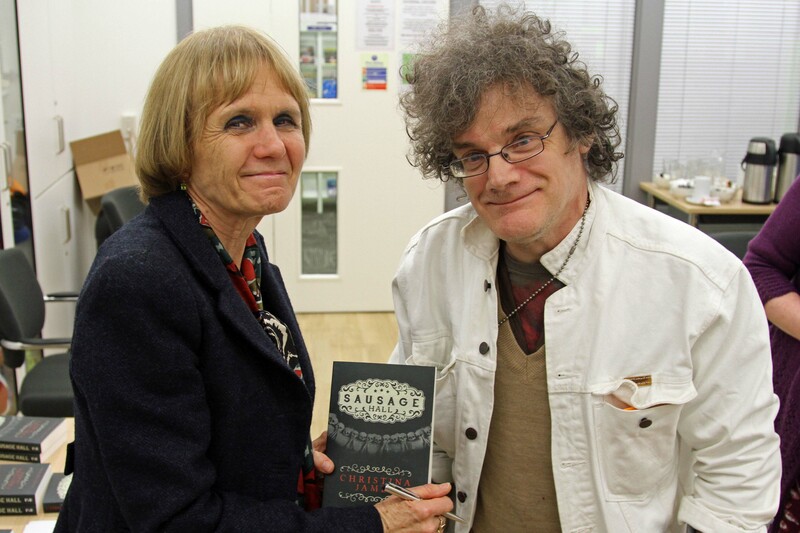 I first met Richard five or six years ago, when he had just embarked on a crime classic reprint venture. No doubt owing to Richard’s influence, classic crime is now big business: there are several excellent imprints, including the British Library’s own. 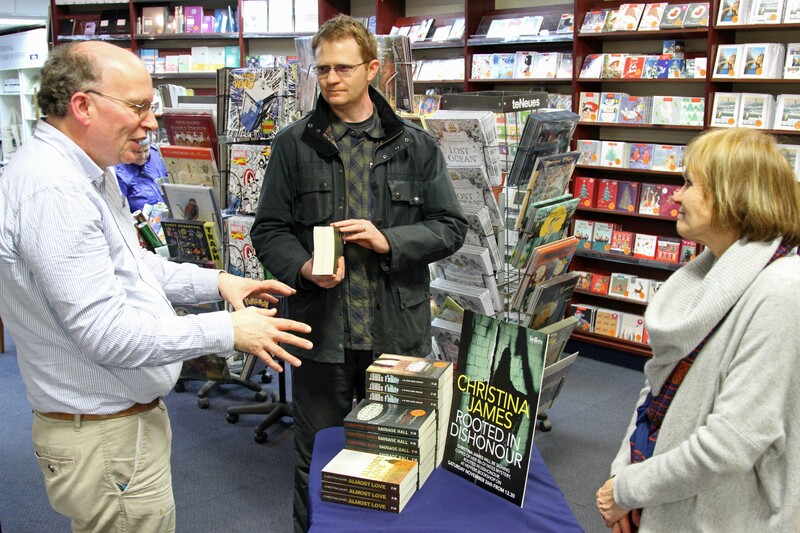 Richard is interested in all types of crime fiction, modern as well as classic, and I’m very proud to say that not only does he stock the DI Yates novels but he also invited me for a signing session on Saturday as part of the Cambridge Literary Festival. 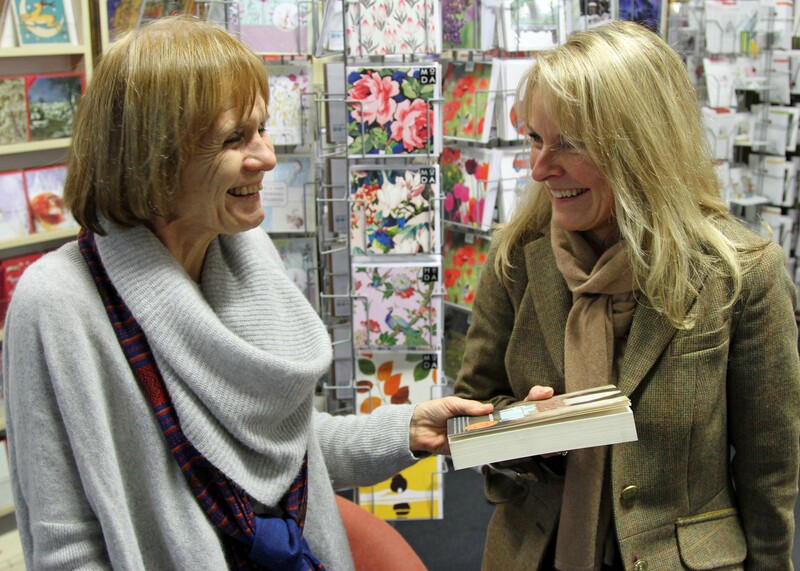 There was a wonderful buzz in the shop, which was packed with people shopping all the time I was there. I had a glorious three hours, talking to old friends and many new acquaintances. 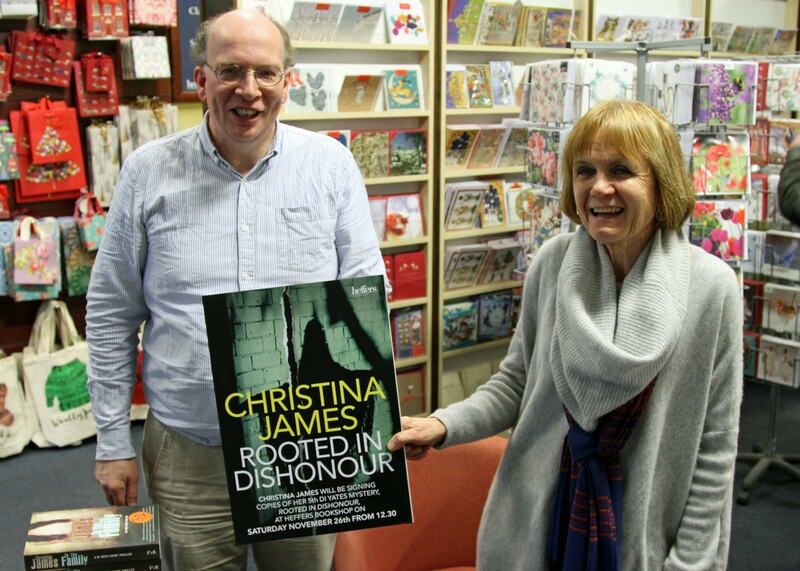 I can’t begin to tell them how much I appreciate that most bought Rooted in Dishonour. 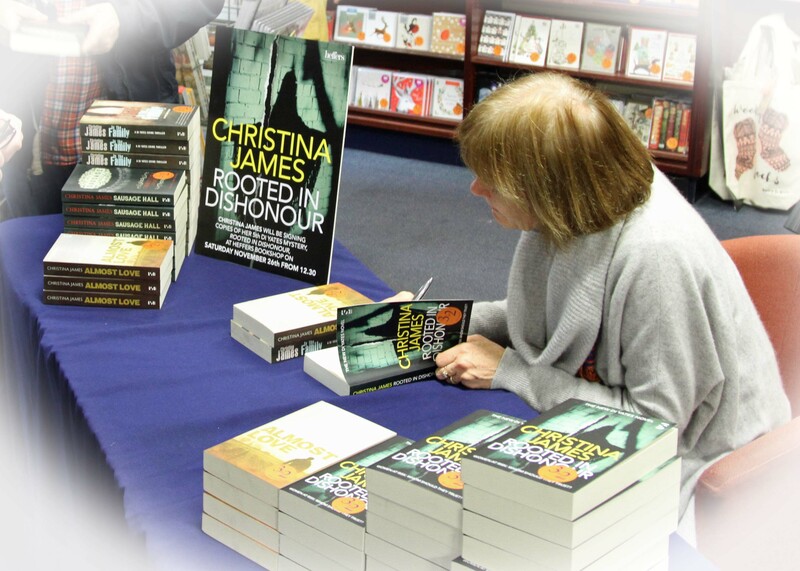 There were lots of sales of the other books in the DI Yates series, too. I’d like to thank Richard and his colleagues for great hospitality and for extending a very generous invitation to me to return to the shop again as soon as I am ready. Perhaps they should be careful what they wish for: I might turn up again next week! 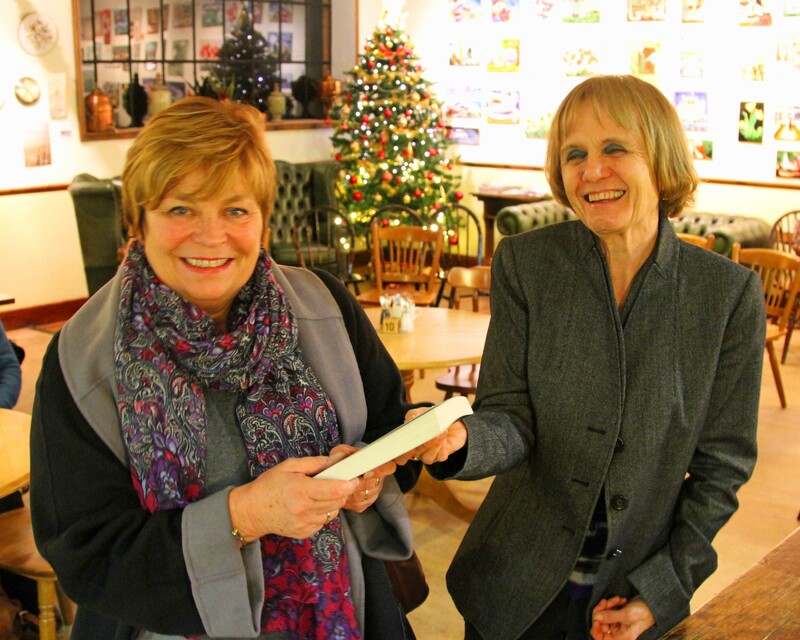 From Wakefield to Covent Garden, ‘Sausage Hall’ has found great friends! 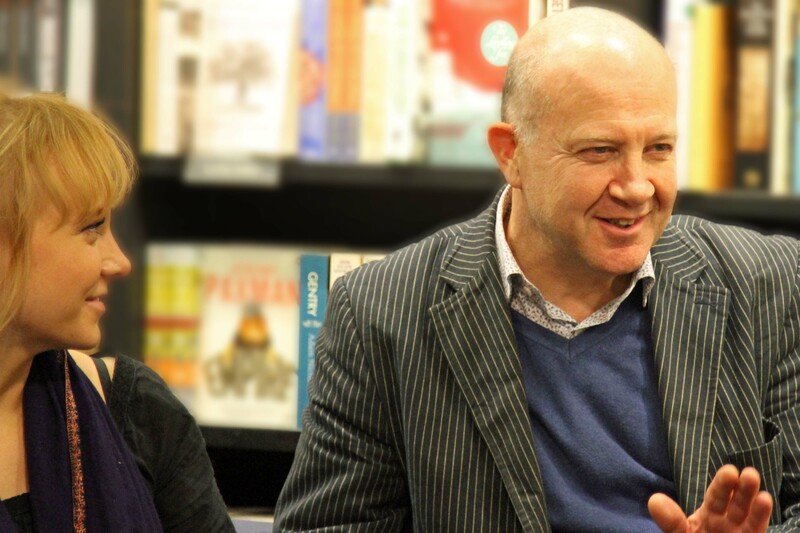 and an evening of conversation and readings at the Covent Garden branch of Waterstones, rounding off the celebrations with a London launch on Thursday. 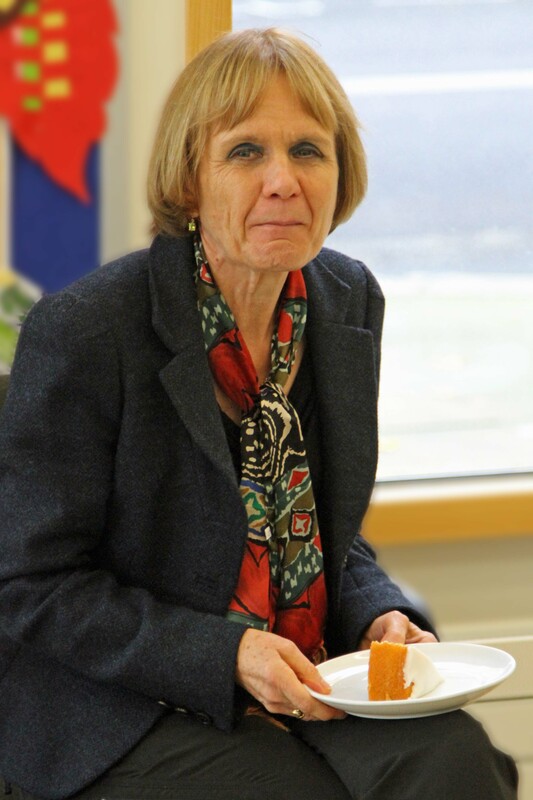 Lynne Holroyd, the liveliest purveyor of refreshments I’ve ever known! 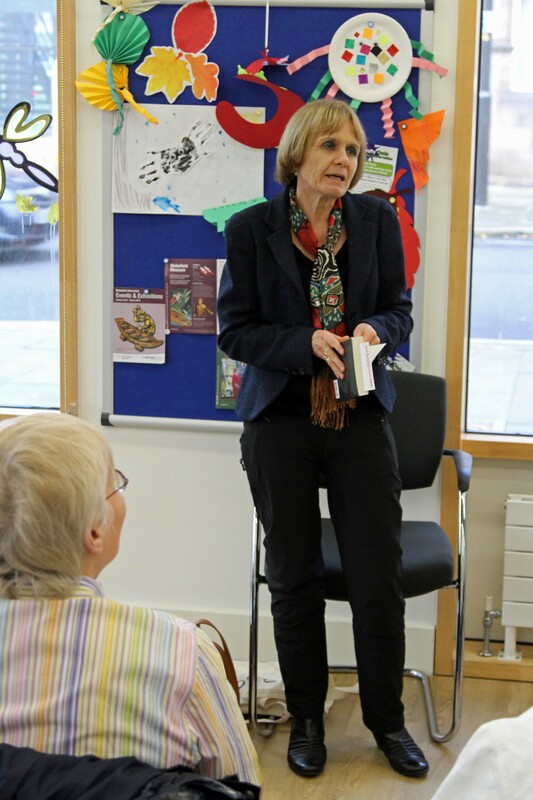 As always, she promoted the occasion superlatively well and attracted a lively and engaging audience, amongst whom were old friends (such as Marjorie and Pauline – both also fab visitors to my blog) from the library’s book club, as well as many interesting new faces. Wakefield One audiences are truly wonderful. They are united in their love of books and reading, and not afraid to tell it how it is. 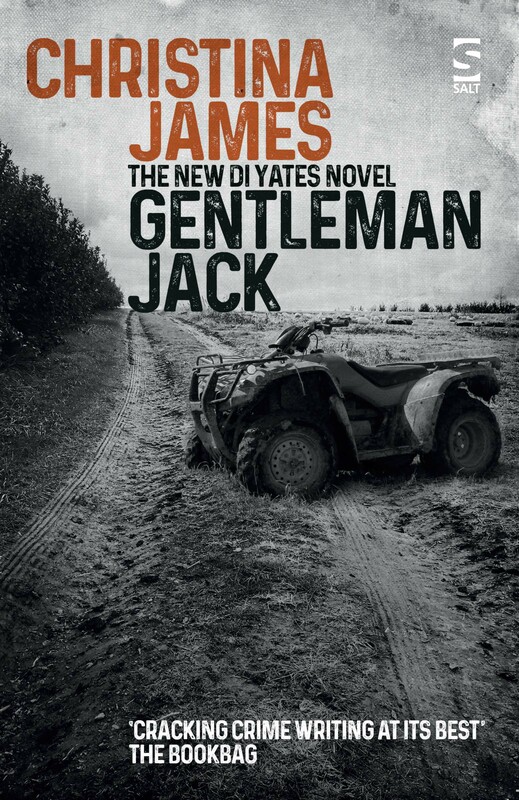 I’m delighted that they like my novels, because they would certainly tell me if they didn’t – during the course of the afternoon, they told me exactly what they thought of the work of a writer who is much better known than I am! As well as being extremely perspicacious, they’re fun and they like to have fun. They know what they want and they want more of it: I’ve already promised to return to talk to them about DI Yates numbers 4 and 5. 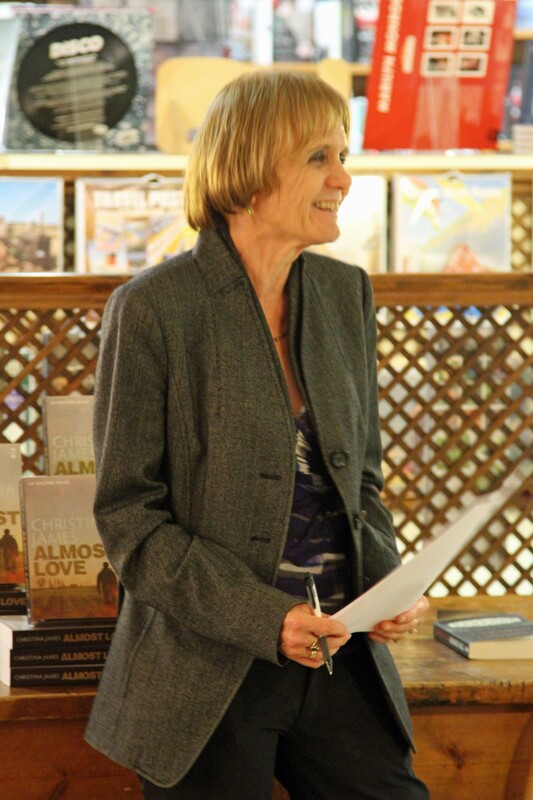 It was my first Wakefield audience that told me how much they enjoyed reading about Juliet Armstrong and that they’d like to see more of her. I hope that they’ll think I’ve done so in Sausage Hall, where Juliet’s story takes a new turn. 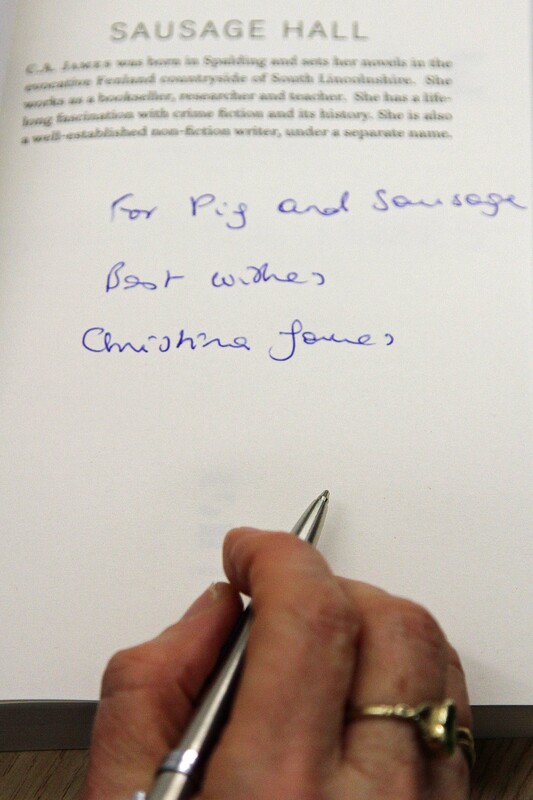 Several of the Wakefield readers had already bought Sausage Hall and came armed with it for me to sign. Others bought it during the tea-party; as at my other Wakefield events, the books were kindly supplied by Rickaro Books in Horbury. A man in the audience asked for an interesting, and very relevant, inscription (see caption): apparently, these are the nicknames of his brother and sister-in-law! To Pig and Sausage, with love! 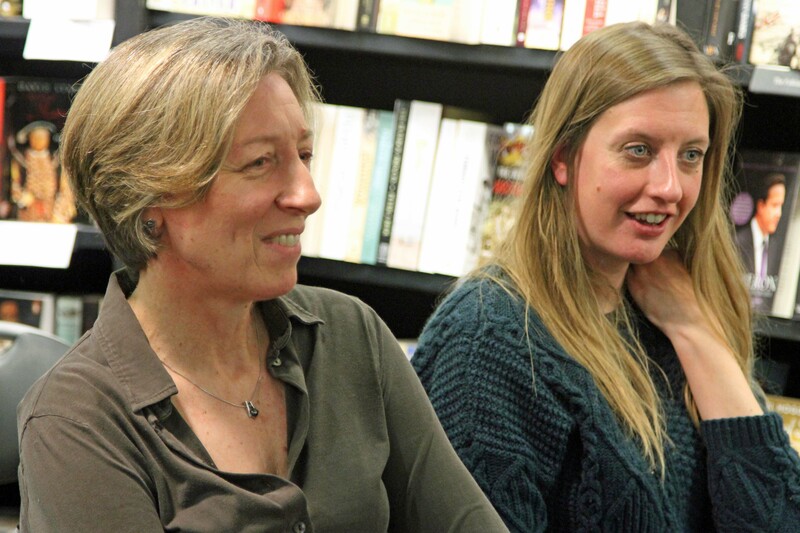 The event at Waterstones Covent Garden was masterminded by Jen Shenton, the bookshop’s lovely ‘can-do’ manager. 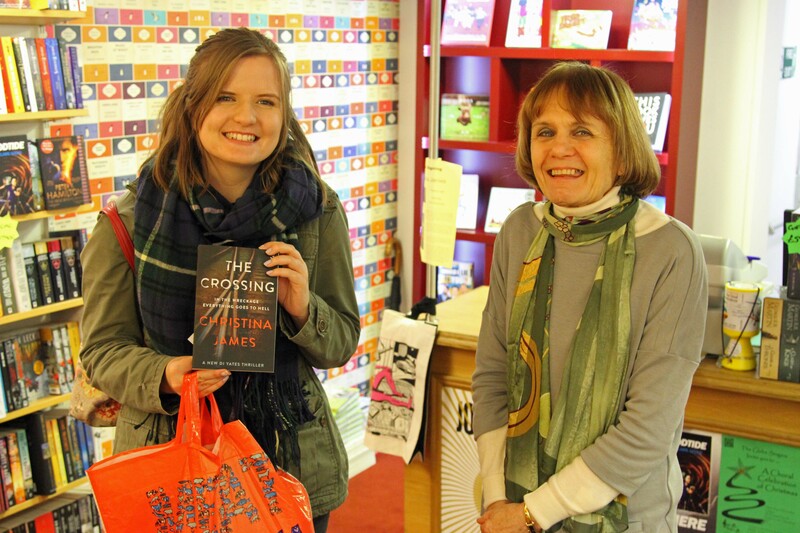 I hadn’t met her before, but as soon as I saw her I knew what a distinguished bookseller she is. 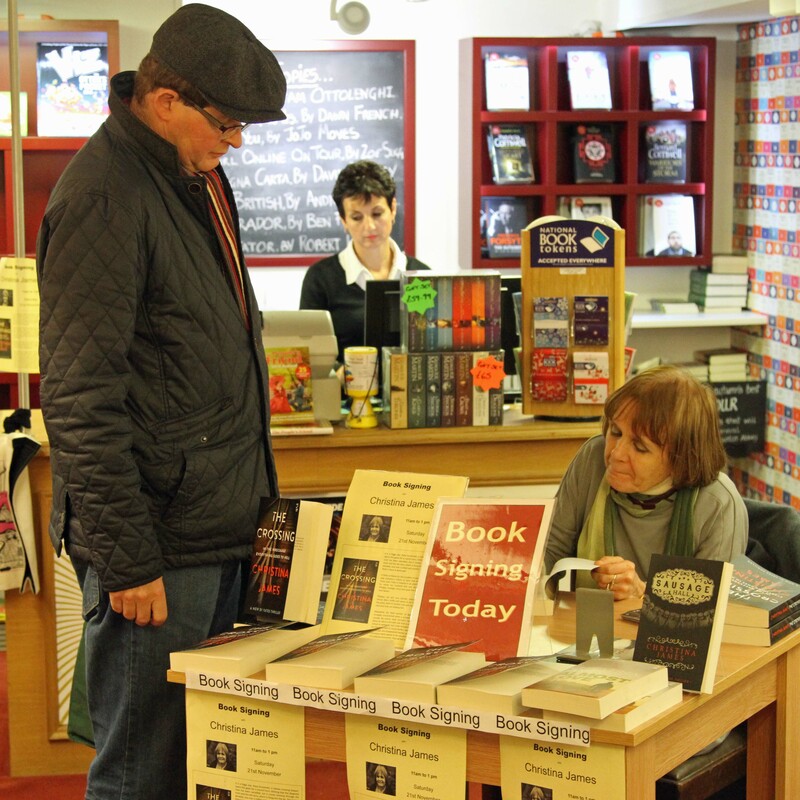 It’s something you can’t fake: I honestly believe that the best booksellers are born, not made, though that’s not to say they don’t work hard all the time in order to stay ahead. I didn’t leave Jen’s shop until almost 9 p.m., and she was still there behind the till, helping customers, smiling and looking as fresh as a daisy, even though she must have been feeling exhausted. 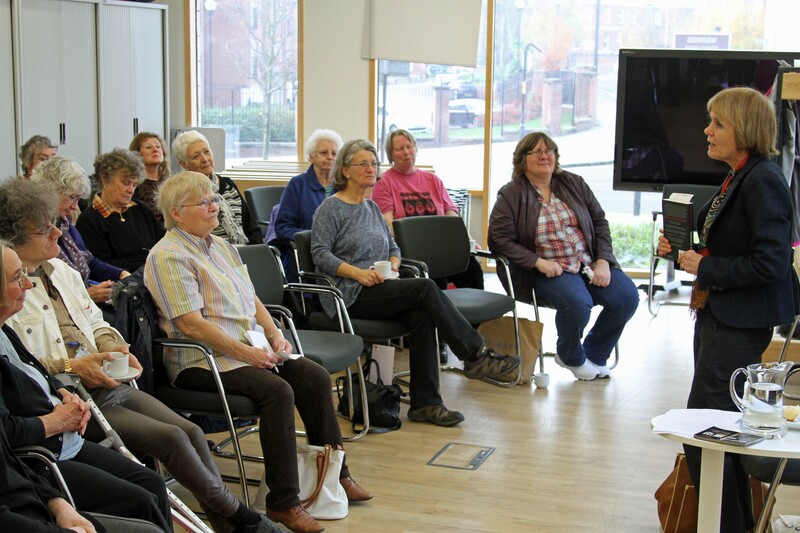 This event also had a wonderful audience. Many of my friends from the book industry came (which meant they bowled me a few googlies when it came to the questions). It was a light-hearted, laughter-filled evening, well lubricated with Waterstones wine and sustained by Adams & Harlow sausage rolls. 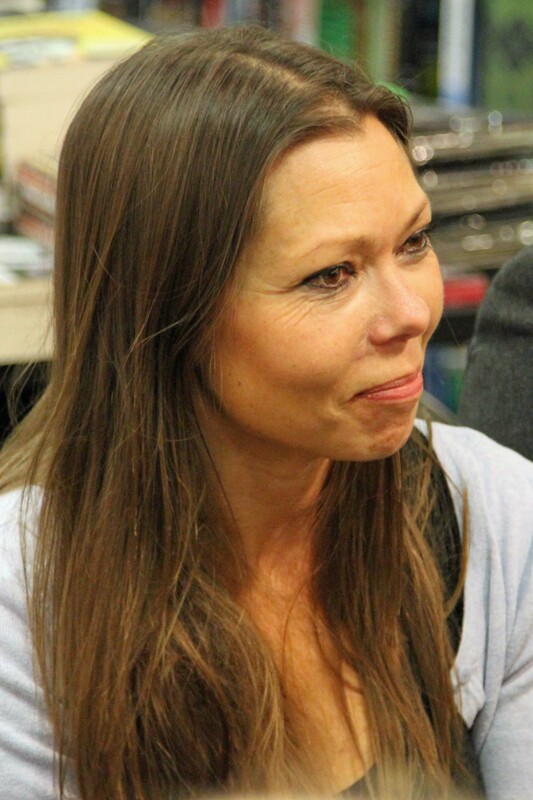 I was delighted that Tabitha Pelly, who has worked with Salt on PR for Sausage Hall, was able to come. 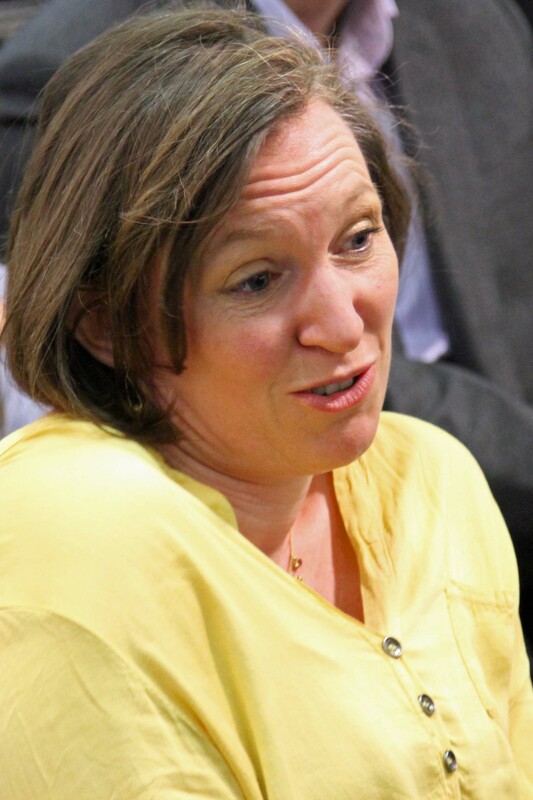 Like Jen Shenton, she seems never to tire or have a negative thought in her head. I left the shop laden with some book purchases of my own and headed for King’s Cross station to catch the last train. It was the perfect end to an extraordinary week. My only sadness was that Chris and Jen Hamilton-Emery, my publishers at Salt, were unable to come. But I know that they’ve been keen followers of my progress as I’ve sprung Sausage Hall upon the world and I look forward to catching up with them next week. 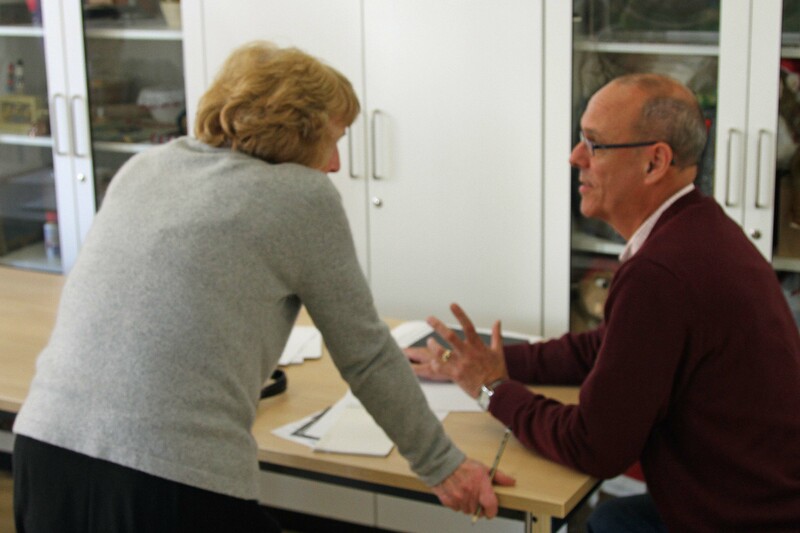 Today is Chris’s birthday: I’d like to take the opportunity to wish him many happy returns! Grateful thanks, once again, to Adams and Harlow for their wonderful sponsorship of the launch of Sausage Hall. In this extraordinary Sausage Hall launch week, which I am enjoying so much and for which I am very grateful, I’d like to pay tribute to two amazing bookshops. 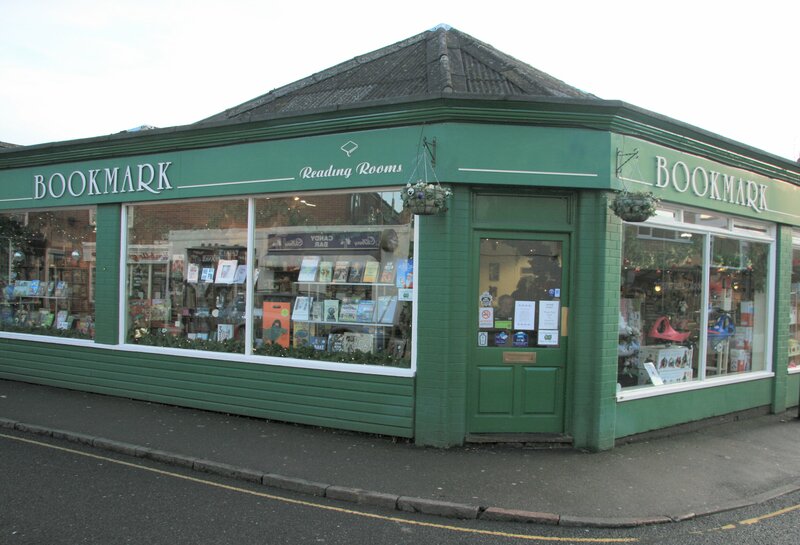 The first is Bookmark, Spalding’s very distinguished bookshop (the CEO of the Booksellers Association, Tim Godfray, has even been known to serve behind the till there on occasion). Bookmark very generously offered to host the Sausage Hall publication day party, which took place in the evening of November 17th, after the day that I spent at Spalding High School. 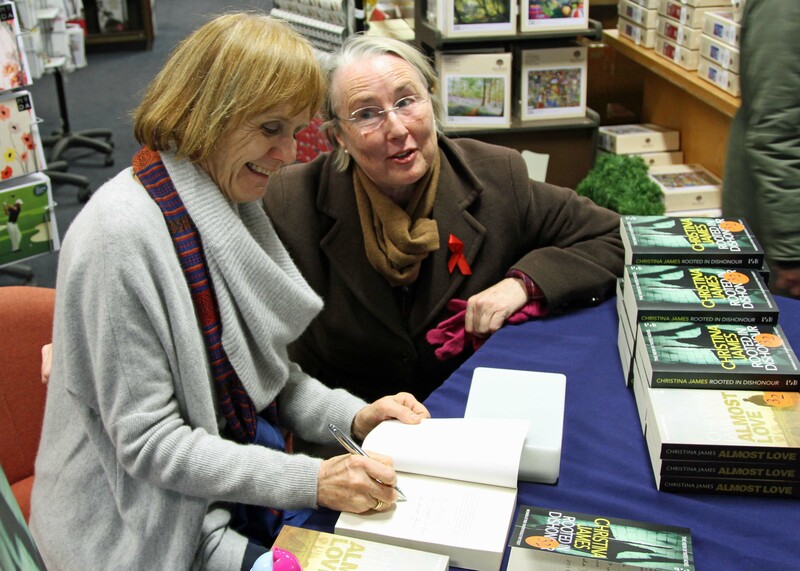 The event was masterminded by Christine Hanson, the owner of the shop (who is both practical and imaginative – she fixed both a toilet roll holder and a broken table joint within minutes of my arrival, while the shop itself, resplendent with its Christmas stock and decorations, achieved a standard that I’d have dearly liked to replicate in my bookselling days), and Sam Buckley, also a former pupil of Spalding High School, who organises author sessions at the shop. Equally generously, the launch party was sponsored by Adams and Harlow, the local pork butchers, who supplied sausage rolls for the occasion. 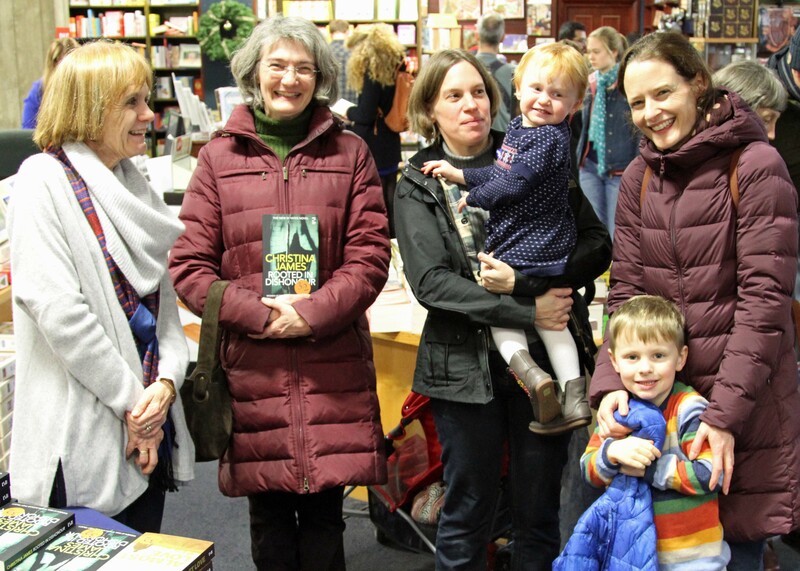 This event was attended by members of Bookmark’s lively reading group and some old friends of my own. 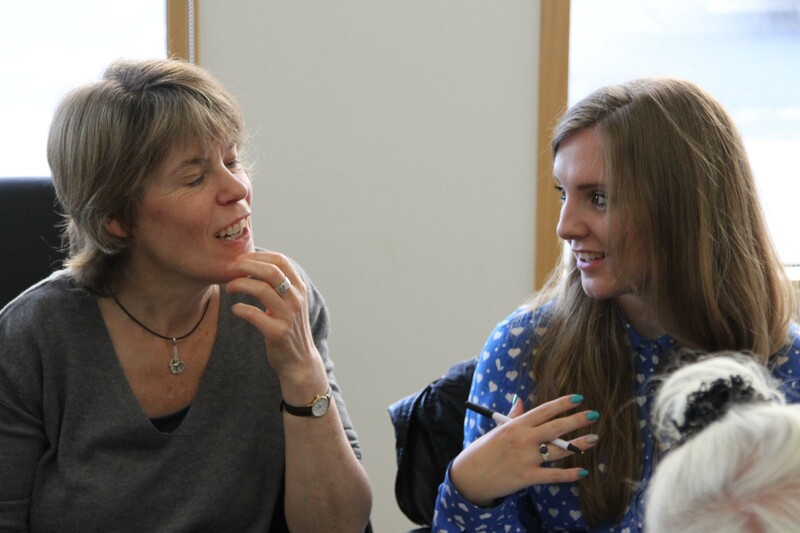 I was astounded to see Finola, a day-job friend – she had driven for more than an hour from Cambridge in order to support me. 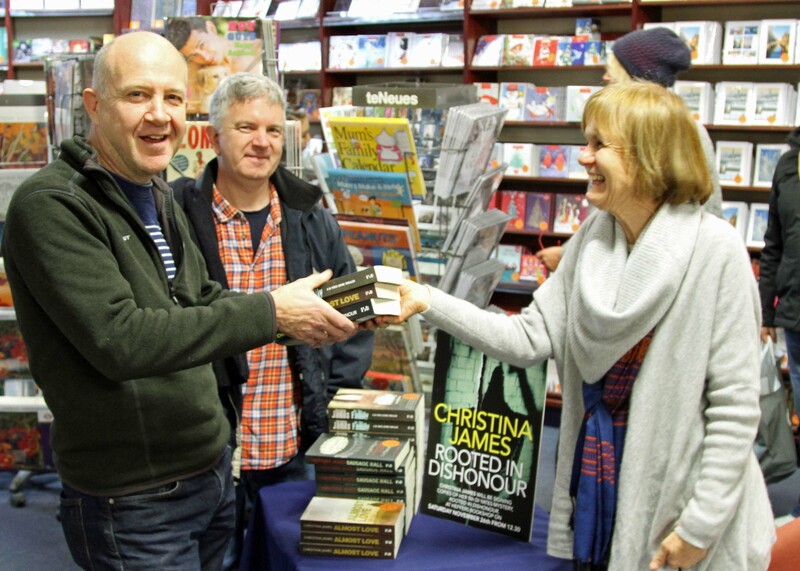 I was also staunchly supported by Madelaine, one of my oldest friends, and her husband, Marc, who have both offered me hospitality every time I’ve returned to Spalding as Christina James and also bought many copies of my books as presents for everyone they know who might enjoy them. Madelaine’s contribution to my writing is acknowledged in Sausage Hall. I was also delighted to see Sarah Oliver, whom I first met at the Priory Academy last spring and who came with her husband. 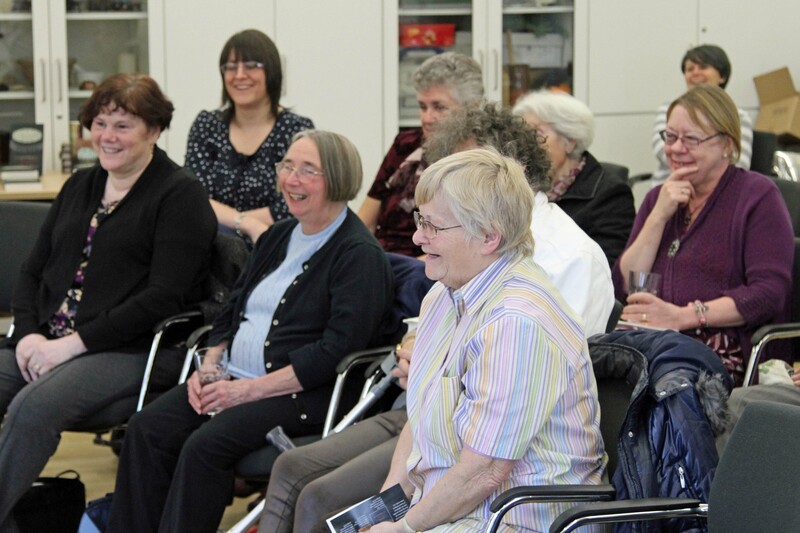 The book club members, who lived up to their reputation for being engaged and vivacious, were shrewd and perceptive: as well as listening attentively to two readings from Sausage Hall, they launched into an animated discussion about all three DI Yates novels. Everyone present bought at least one of the books, some more than one. (Sam Buckley later this week let me know that one member of the audience, who had not read any of the novels and took away with her In the Family, returned within forty-eight hours, having read it, to acquire Almost Love and Sausage Hall as well!) And, of course, I couldn’t myself resist making a few purchases in this fairy-tale bookshop. 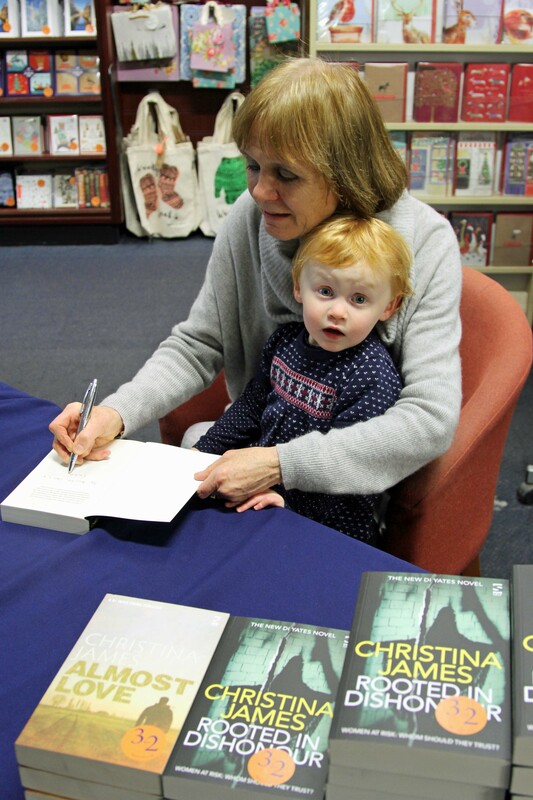 Having spent the night with my son and daughter-in-law at their house in Cambridgeshire, I arrived in good time on Tuesday November 18th for a signing session at Walkers Bookshop in Stamford. 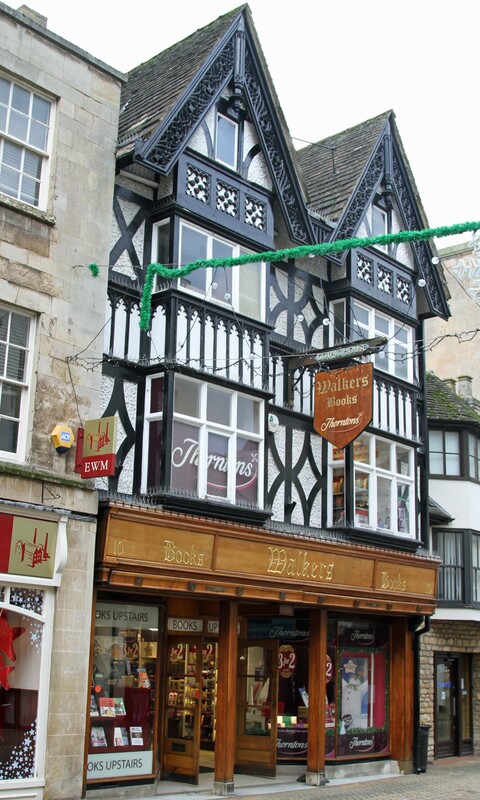 Although I first met Tim Walker, its owner, last year (he’s currently President of the Booksellers Association), I had not visited one of his bookshops before, The one in Stamford is in a listed building in the town centre; he also owns another in Oakham. I was particularly impressed by the huge range of stock in this shop, both the cards and gifts downstairs and the extensive range of books upstairs. 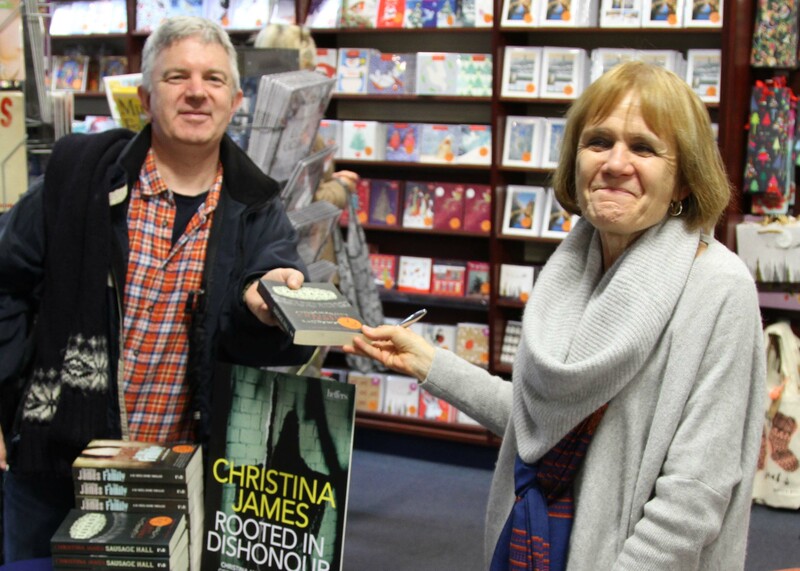 Tim and the manager, Jenny Pugh, were respectively at the other shop and taking holiday, but everything had been set up for me and Mandy, the assistant manager on the book floor, couldn’t have made me more welcome. 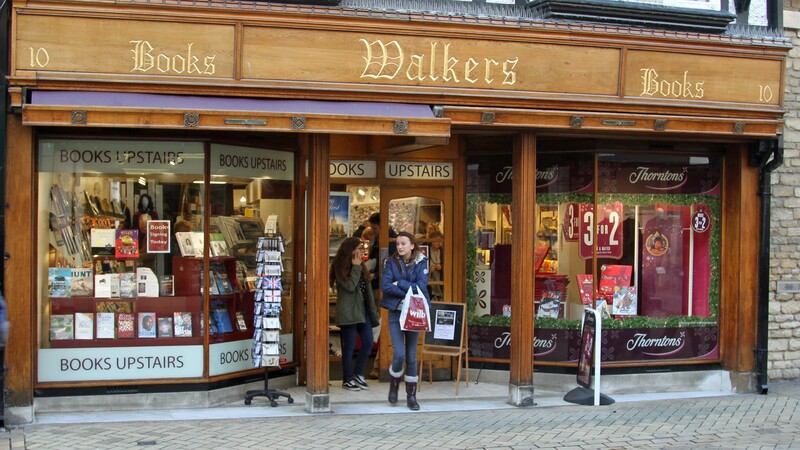 Bookmark and Walkers are two fine examples of thriving independent bookshops, packed with atmosphere and individual charm and led by brilliantly creative people who understand how to serve their communities very well indeed. It was a privilege and a pleasure for me to have been able to enjoy what they had to offer and I’d very much like to thank Christine and Tim for hosting Sausage Hall events this week. 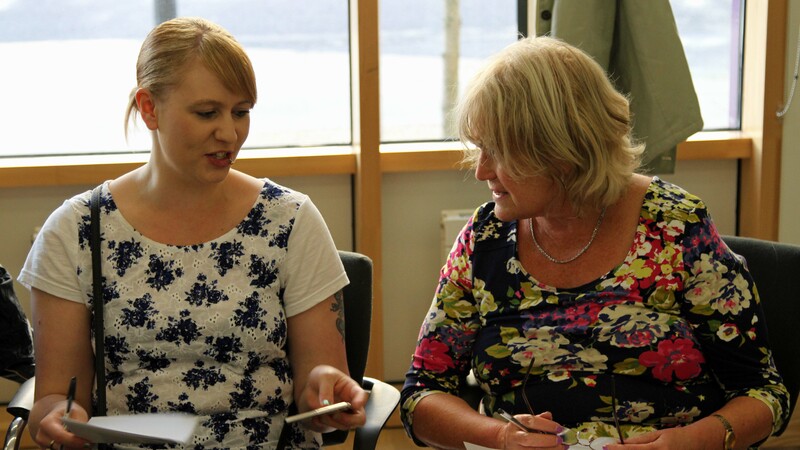 One writer looking back… lots of writers looking forwards! 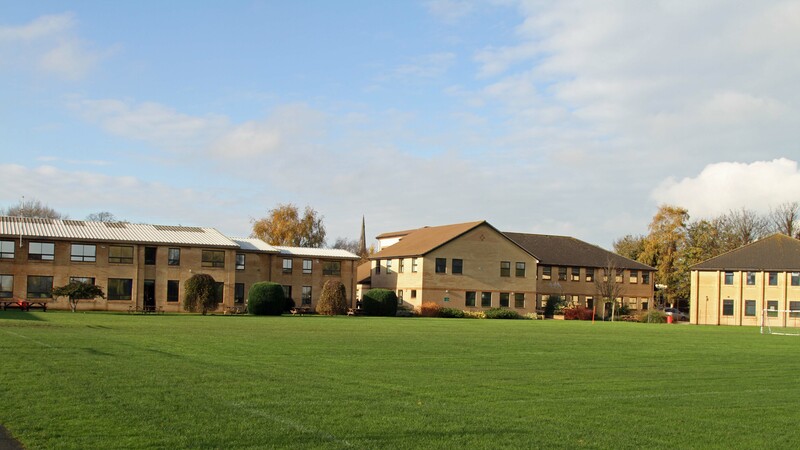 At first light yesterday, I travelled to Spalding High School, my own former school, to which I had returned only once previously since leaving the sixth form. 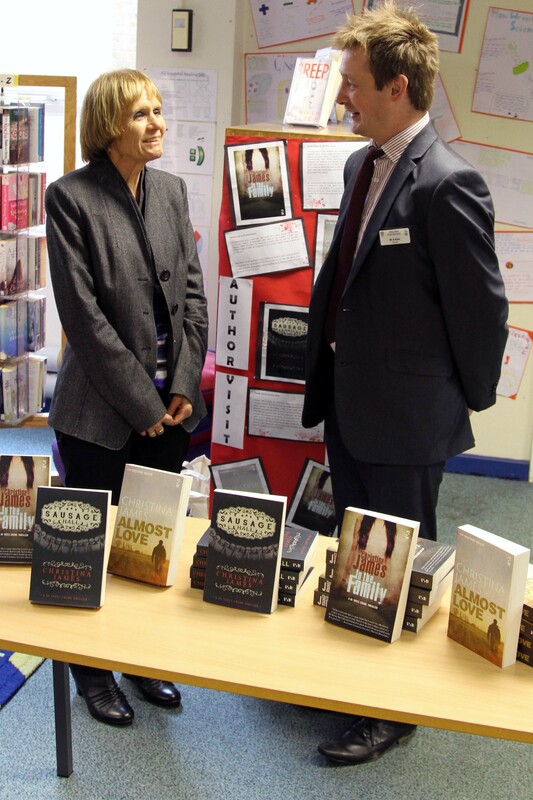 I received a wonderful welcome from Adrian Isted, the newly-appointed Head of English, who began the day’s activities by showing me round the school. 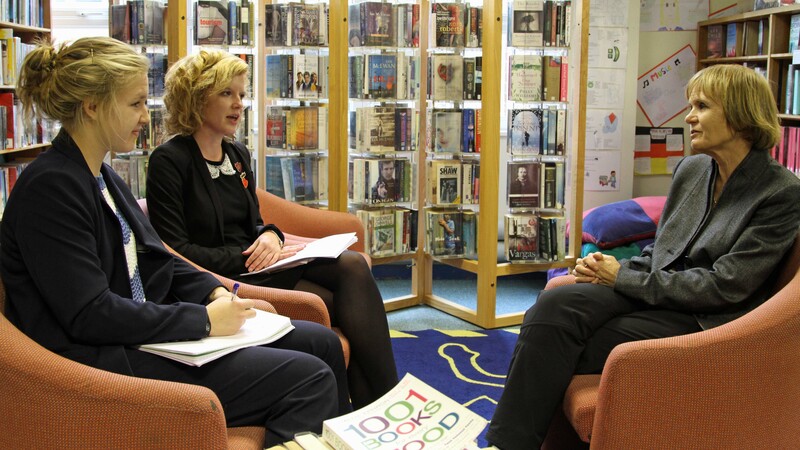 First stop was the office of the headteacher, Mrs. Michele Anderson, who is also fairly new to the school. 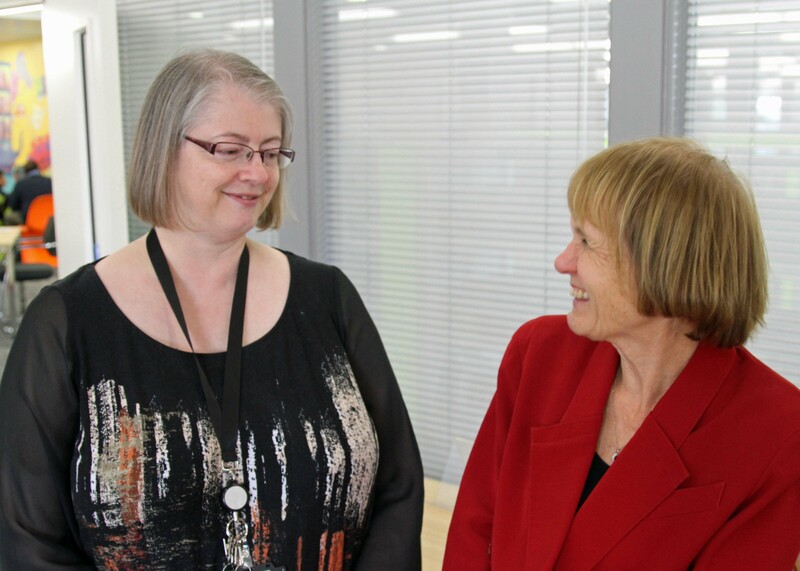 She was fascinated to hear a little more from me about Mrs. Jeanne Driver, the first married headteacher at the school, who was its leader throughout my school career. Born Jeanne Ouseley, she lived at 10, High Street, a large house of several storeys situated near the River Welland in Spalding. Part of this house was divided into flats and there were usually several other teachers living there, as well as two of my fellow sixth formers, Cheryl Ouseley and Elizabeth Davies, both of whom were her nieces. They called her ‘Auntie Jeanne’, a name that the rest of the sixth form also used affectionately, if unofficially. Mrs. Driver was one of several strong women who influenced me as a girl. She had a strong sense of duty and an even stronger work ethic. We found some of the things she said highly amusing (for example, ‘I stand up whenever I hear the national anthem, even if I’m in the bath.’). Sometimes she took the notion of duty to an extreme. I remember she told us that when her husband, who had been in ill health for some time, finally died, she finished marking a set of books before setting in train the preparations for his funeral. But her influence has lasted all my life. The school has been added to, but otherwise is little changed. I suppose the thing that struck me most yesterday is how it seems to have shrunk. The corridors seemed longer, the stairways steeper, the ceilings higher when I first attended it as an eleven-year-old, then for only a part of the school week – pupils belonging to the first two school years still spent most of their time at the old school building in London Road, the first home of Spalding High School when it was established in 1920 on the site of its predecessor, the privately-owned ‘Welland Academy for Young Ladies’. (The present school building was completed in 1959, but the London Road property continued to be used by younger pupils for more than twenty years afterwards.) The assembly hall still boasts its luxurious but absurdly impractical parquet floor. 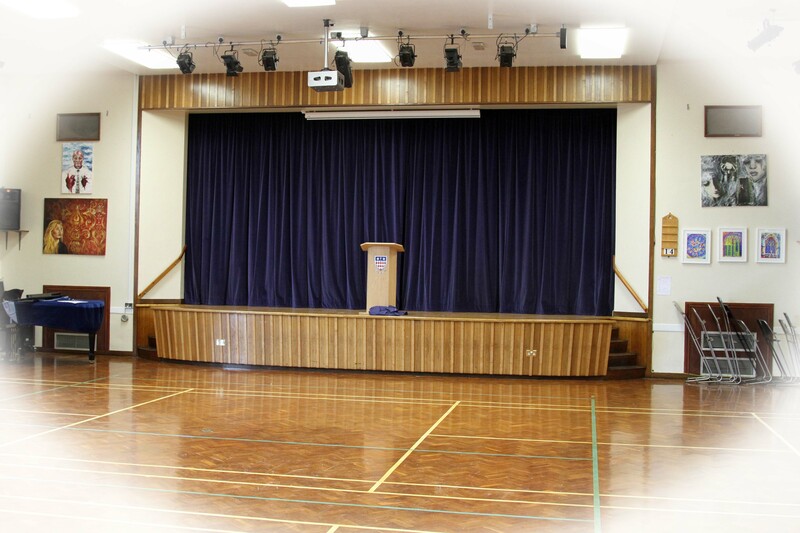 In my day it doubled up as a gym (there is now a separate sports hall) and we were obliged to do PE barefoot, which we all hated, so that the floor wouldn’t become scuffed by gym shoes. The same grand piano stands in the corner, to the left of the stage. In the corridor outside the headteacher’s office are several group photographs taken of all the teachers and pupils at intervals during the school’s history. After some searching, I was able to discover myself on one of these – and I could also name all the other girls in my form and most of the teachers. Guess which is the young Christina James! 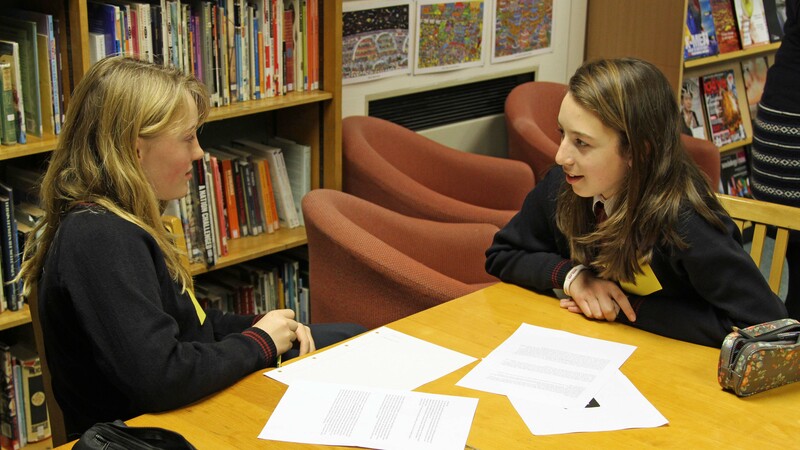 After the tour, I was interviewed by Eleanor Toal and Holly Hetherington for High Quarterly, the school’s completely online magazine (which is streets ahead of the drab, dark-red-covered printed production of my youth). 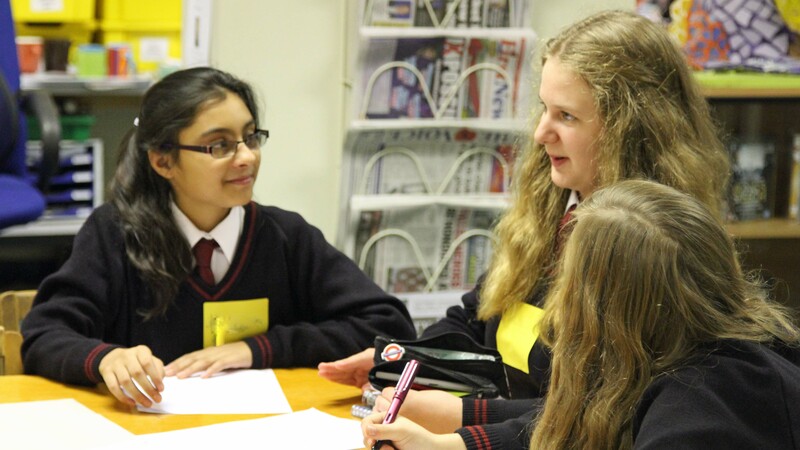 Eleanor, the e-zine’s editor, also writes articles for the Spalding Guardian, carrying on the long-standing relationship between the school and the local newspaper. Eleanor and Holly (who edits Gardening and Food in the mag) knew they were going to be asked to interview me only very shortly before we met, because the intended interviewer was ill, but I wouldn’t have known if they hadn’t told me. 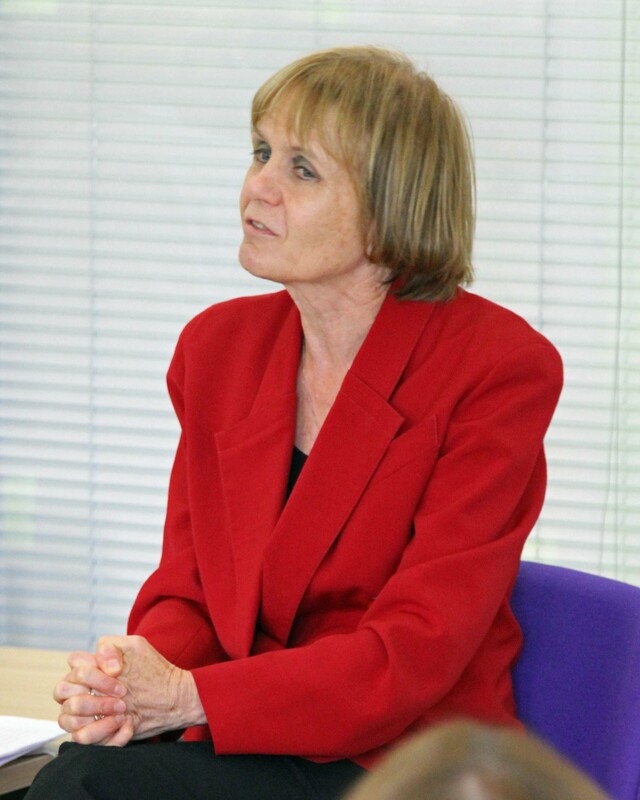 I was much struck by the sensitivity and perspicacity of their questions and enjoyed answering them. 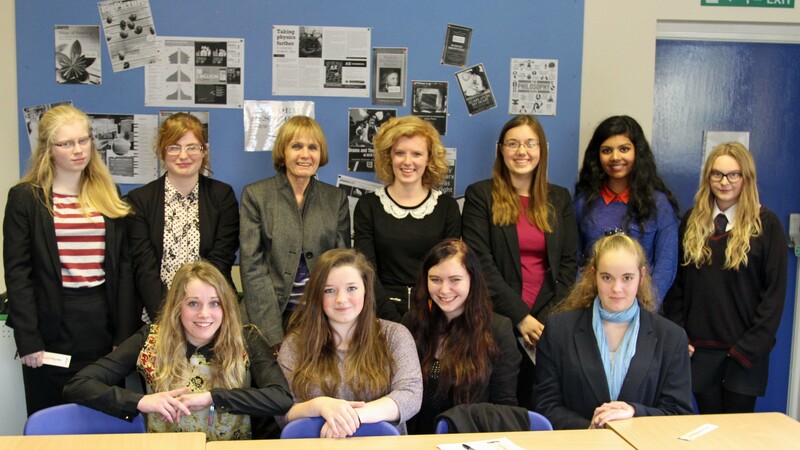 After lunch, I talked to sixth form English students about how to get published. 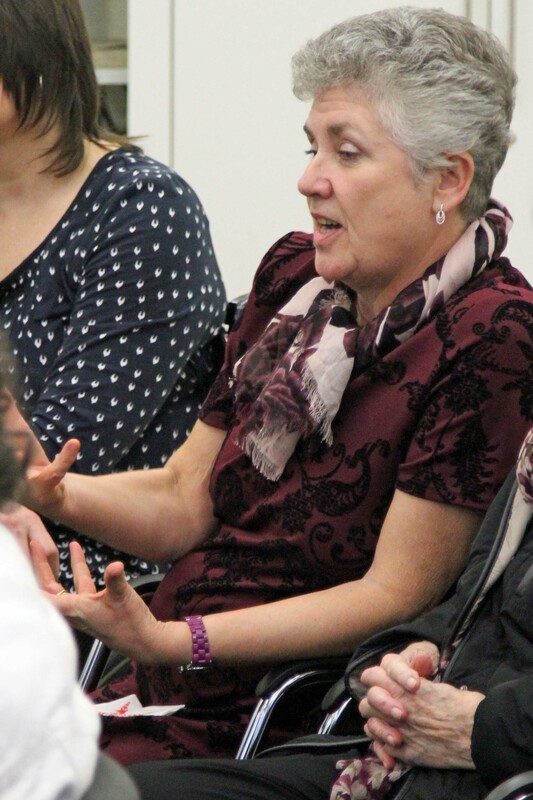 Jean Hodge, who reports on cultural affairs for the Spalding Guardian, also attended and joined in. 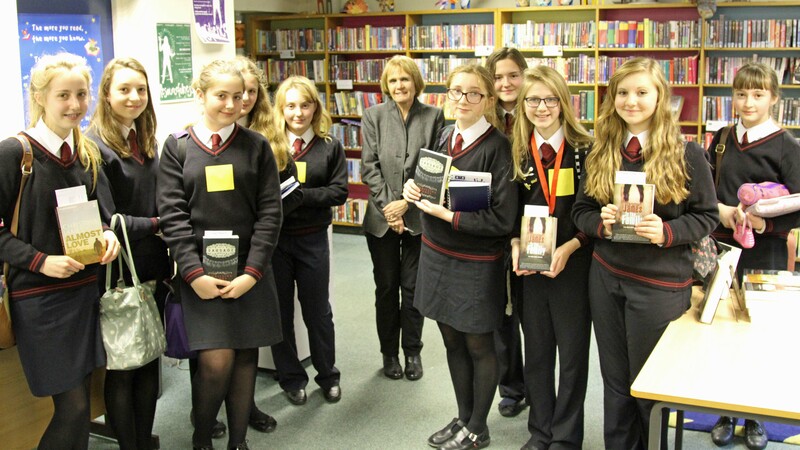 It was quite an exciting occasion, because it also took the first steps towards setting up a short-story competition that the Great British Bookshop has agreed to sponsor at the High School. 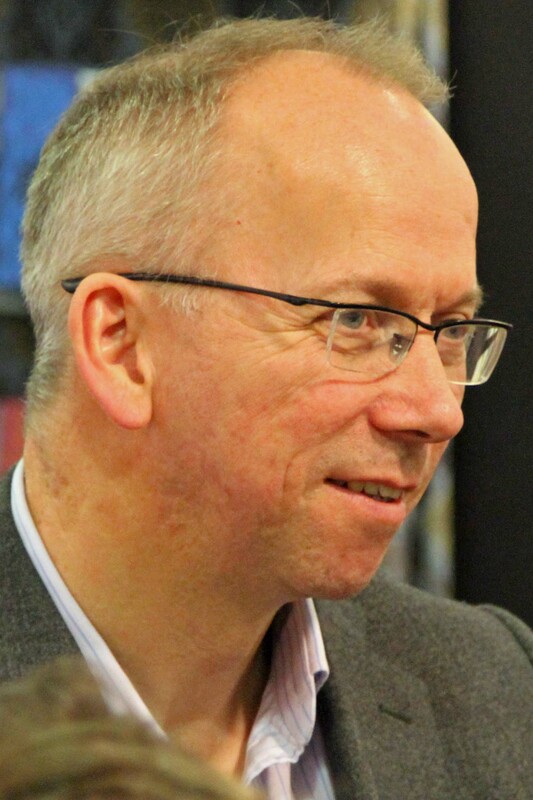 Adrian and his colleagues and I will choose the best ten or twelve stories submitted to be published in a single volume at The Great British Bookshop’s expense. Winners will each receive a free copy of the book, which will then go on sale in TGBB’s extensive distribution network. I’ll be writing more about the competition in this blog very shortly. 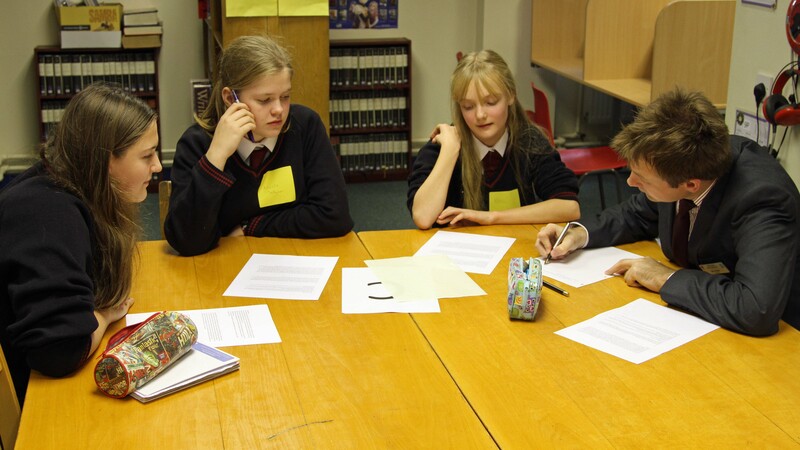 I completed my day at the school with a writers’ workshop for Years 7, 8 and 9 students. 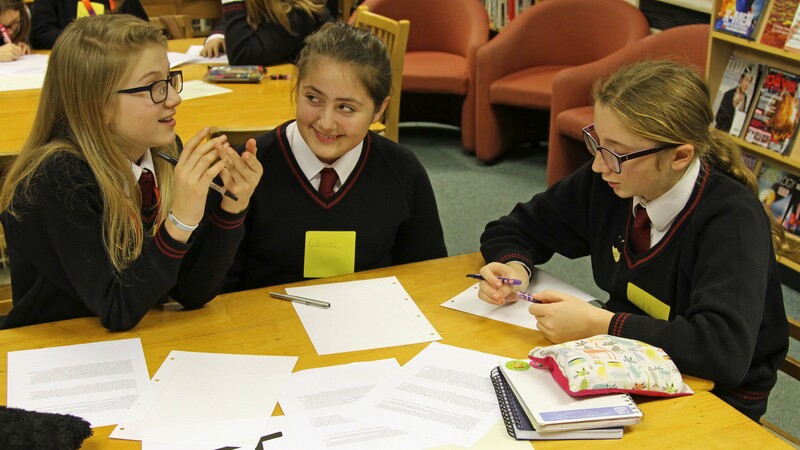 The participants explored some of the key elements of crime fiction (they proved to be very well read) and collaborated to put some of those into practice. 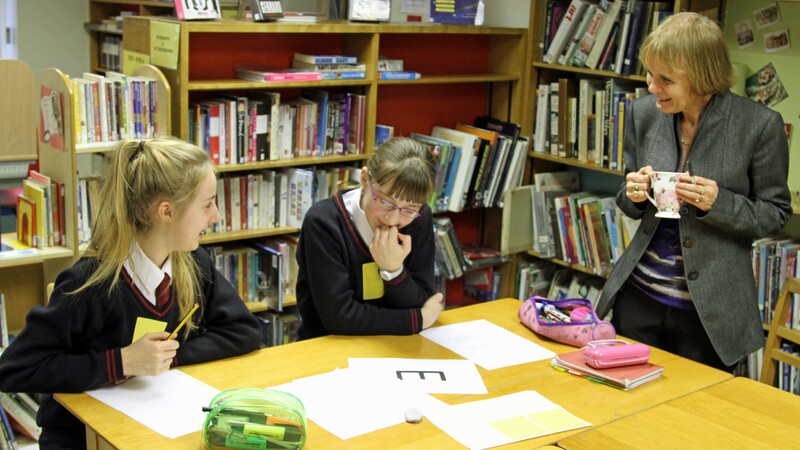 Their discussion illustrated their excellent grasp of linguistic and literary effects and the results were amazing! Nearly all of these students bought one of my books at the end of the session; some bought all three. Thank you! I can’t conclude this post without saying that a remarkable library now exists at Spalding High School. The library is housed in the same room that I knew, but what a difference in the stock! 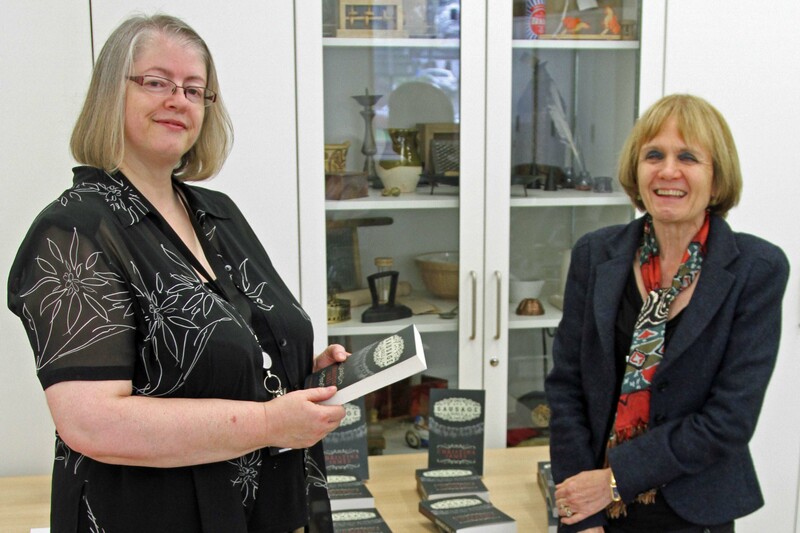 The emphasis is on supplying students with books to read for pleasure. It’s a place of relaxation and also a place where students can go to work in groups. There’s none of the shushing and grim looks that any talking in the library produced when I was a schoolgirl and all the dusty old Latin grammars and ancient editions of Gray’s Anatomy have been disappeared. 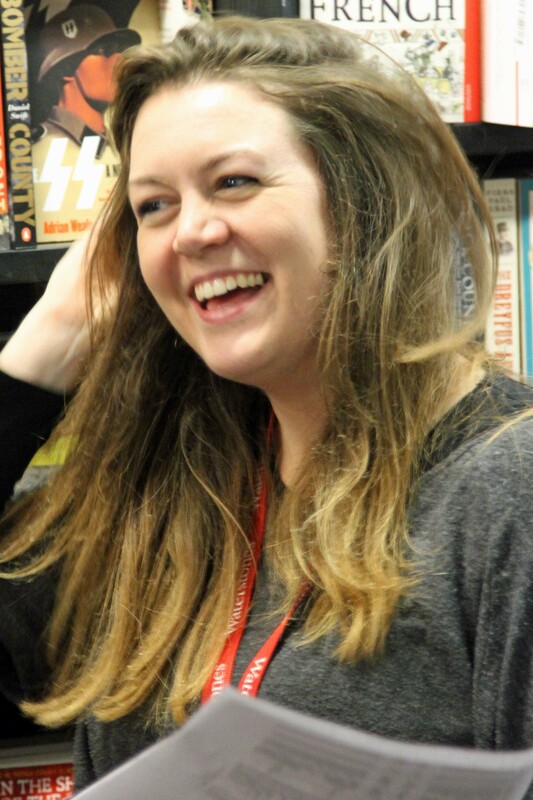 Hats off in particular to Kirsty Lees, the School Librarian and Learning Resources Manager, and to her team. The school knows how lucky it is to have them and to be able to enjoy the warm and inviting place (complete with crime scene rug featuring a splayed body) that they have turned it into. It’s almost impossible for me to thank all the people who made this day so special. I’m deeply grateful to Michele Anderson for making it possible; to Adrian Isted and Kirsty, for making it happen; to Eleanor and Holly, for giving me such a delightful interview; to Jean Hodge, for all her support for Sausage Hall both at this event and elsewhere and, especially, to all the students whom I met yesterday, who were such a joy to work with and who were so keen to develop their own writing. Thank you all! 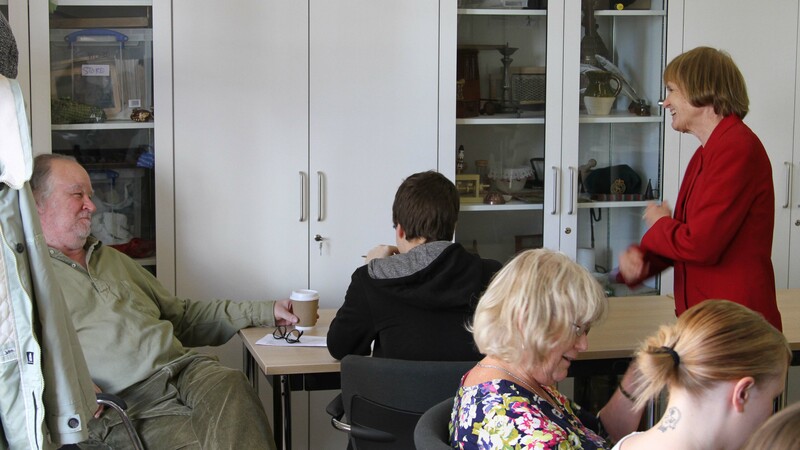 Yesterday Jim, my editor, and I enjoyed the immense privilege of running a writers’ workshop at Wakefield One, the City of Wakefield’s wonderful new complex that incorporates the library and other arts and community facilities. 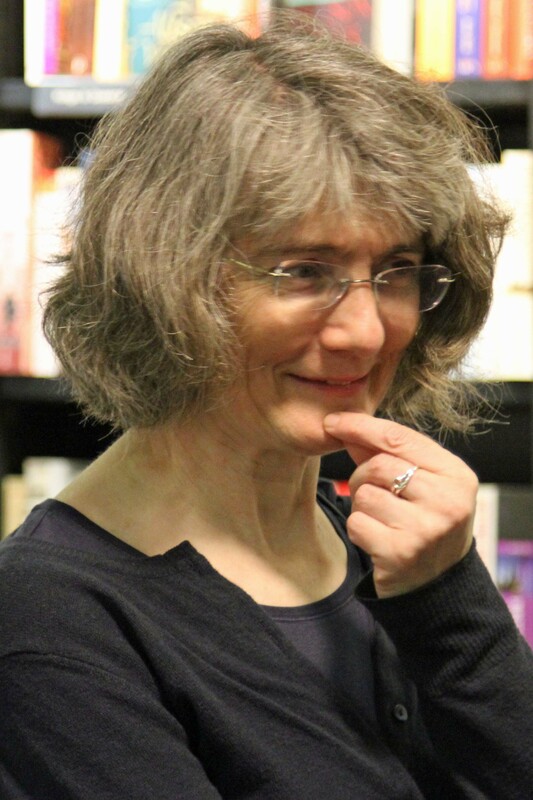 Like the event in which I took part at Wakefield One last year, it was part of Wakefield’s LitFest, and impeccably organised by Alison Cassels, who, in my experience, is second to none at enthusing and gathering in intelligent and appreciative audiences for such occasions. 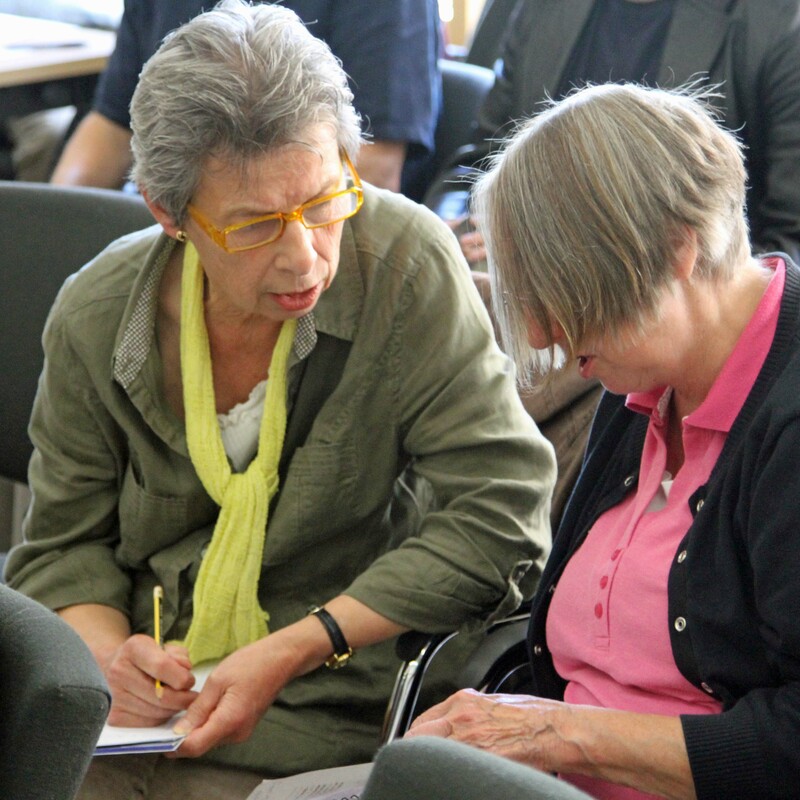 Eventually, there were twenty-two lively and responsive participants of all ages, from twenty upwards. 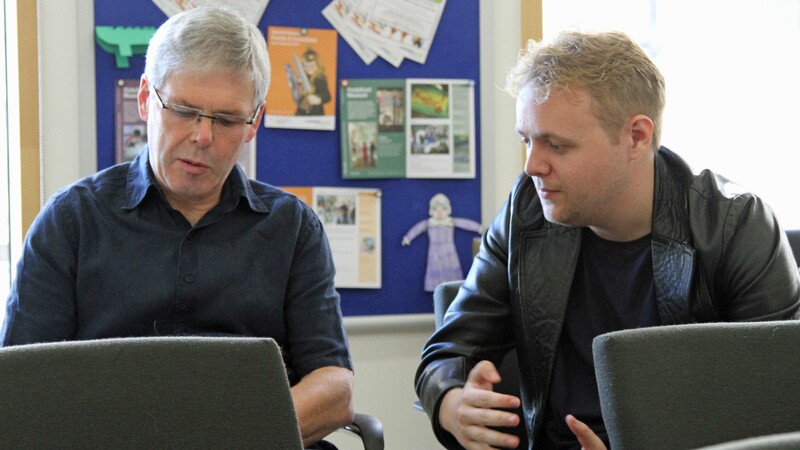 One recent graduate came with his grandfather. 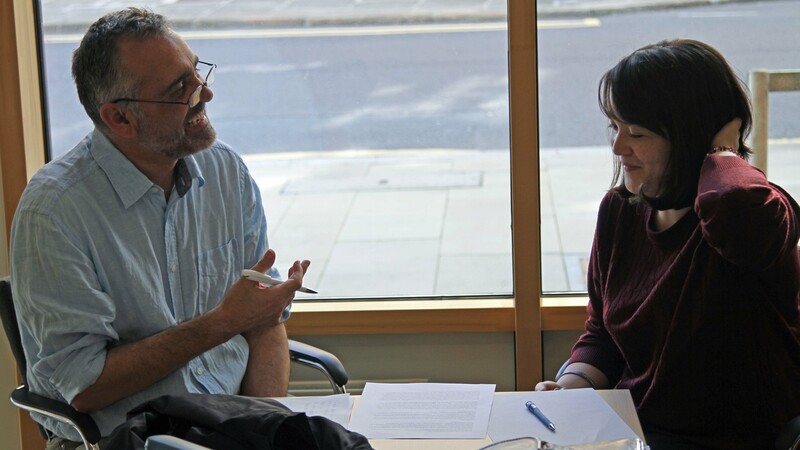 We began by giving the workshop delegates a sheet containing the opening paragraphs of six novels and asked them to take on the editor’s task of choosing (and providing justification for their selection!) just one that they would personally want to publish. The results were Illuminating: although one of the extracts (actually from a novel by Ruth Rendell) emerged as the clear winner, all six had at least one champion. Everyone was thus able to appreciate the dilemma of choice that an editor faces when sent many different manuscripts. 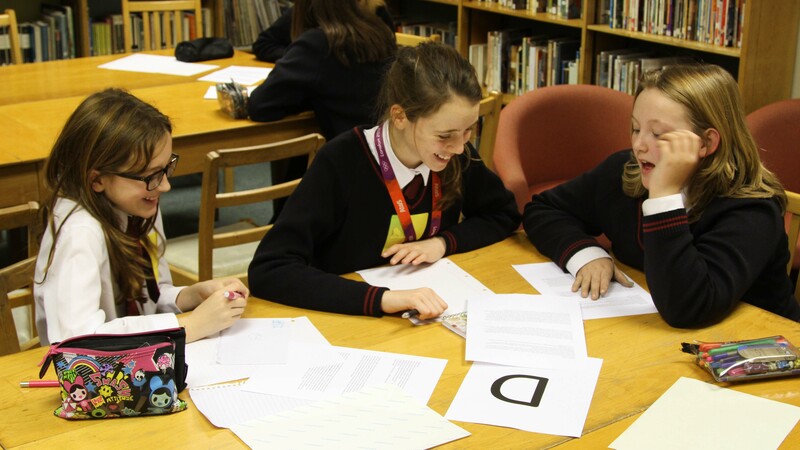 Then, in pairs and against the clock, the group accepted the challenge of producing an opening paragraph that might persuade an editor not to reject it. 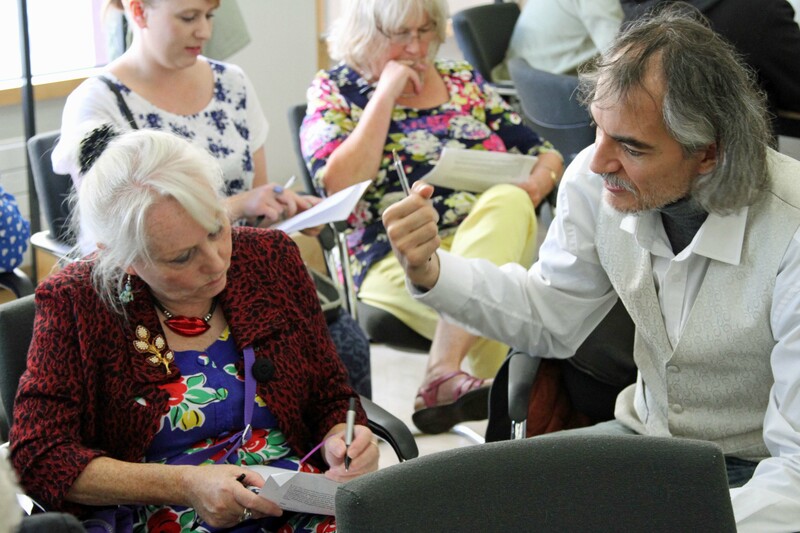 The results were exceptional: all were coherent, interesting and, most impressively, cliché-free; the activity itself generated wonderful engagement, as you can see in the photographs here. 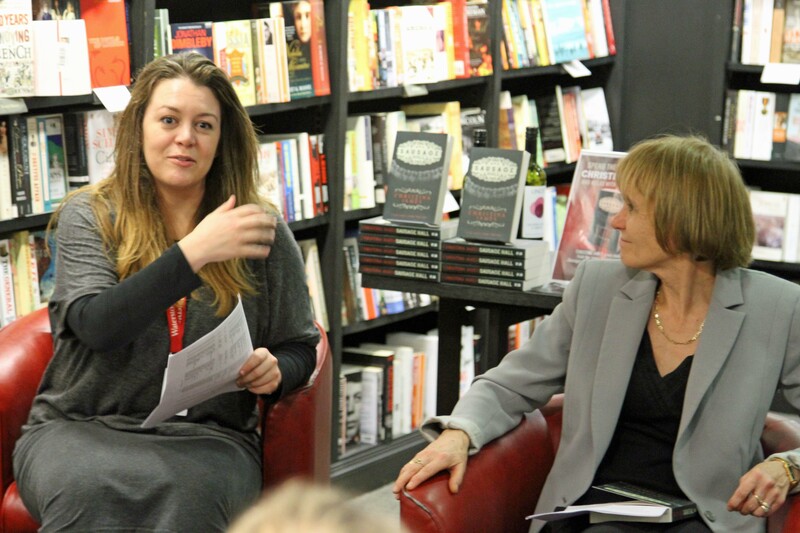 I then went on to explore some of the practicalities of getting published and what new (and, indeed, established) authors need to do in order to engage and keep their readers. This audience was thoughtful as well as appreciative and turned it into a dynamic, interactive session. 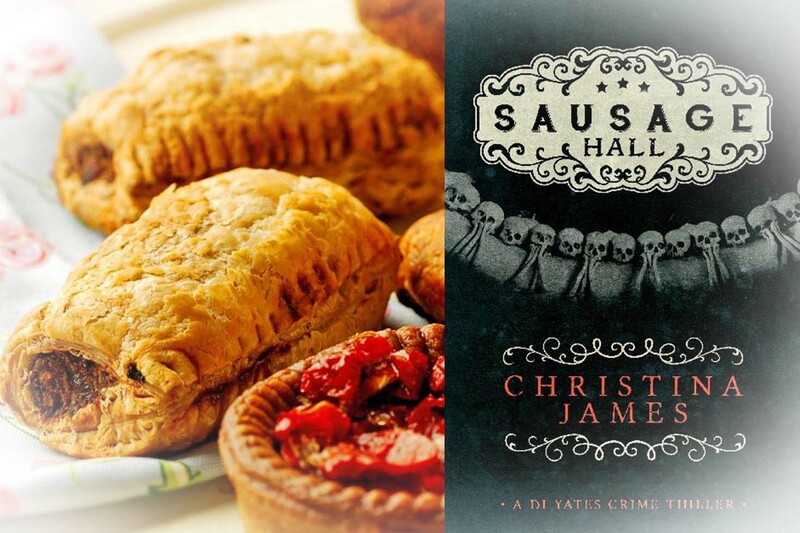 Finally, I read the opening chapter of Sausage Hall, the third in the DI Yates series, which will be published on 17th November; it was well-received (I’d been holding my breath, as I’m sure all authors do when they give their new ‘baby’ its first airings). 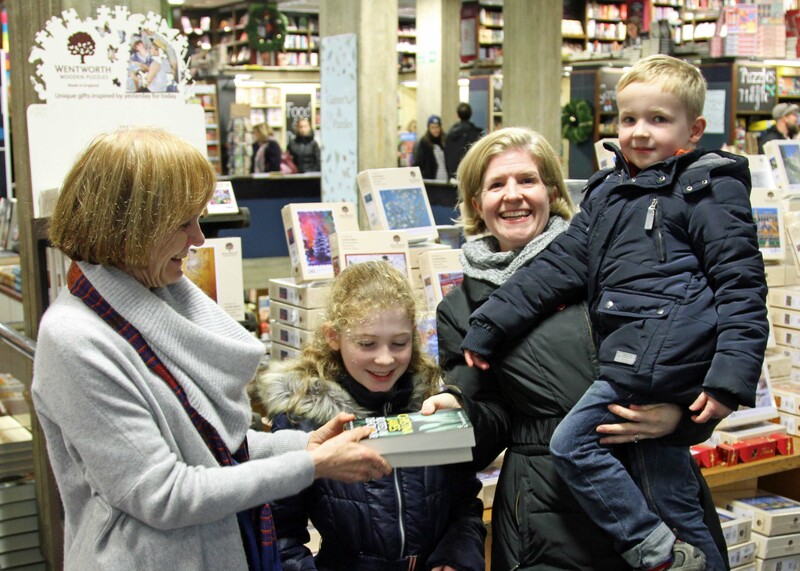 The workshop members were generous: many bought copies of In the Family and Almost Love in the signing session at the end; some were kind enough to buy both. 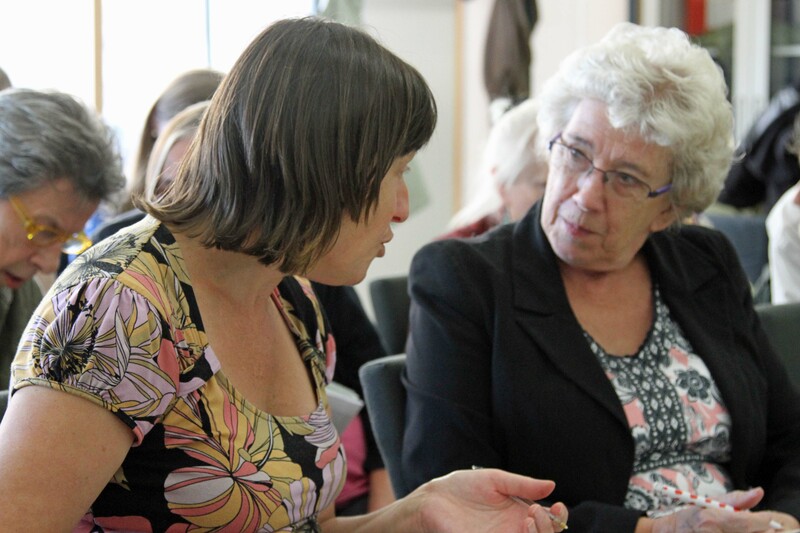 The informal debate continued after the workshop was officially over. Several participants said that they’d been delighted to receive Salt Publishing’s online alerts. If any of the readers of this blog would also like to obtain these, just let me know and I’ll pass on the information. 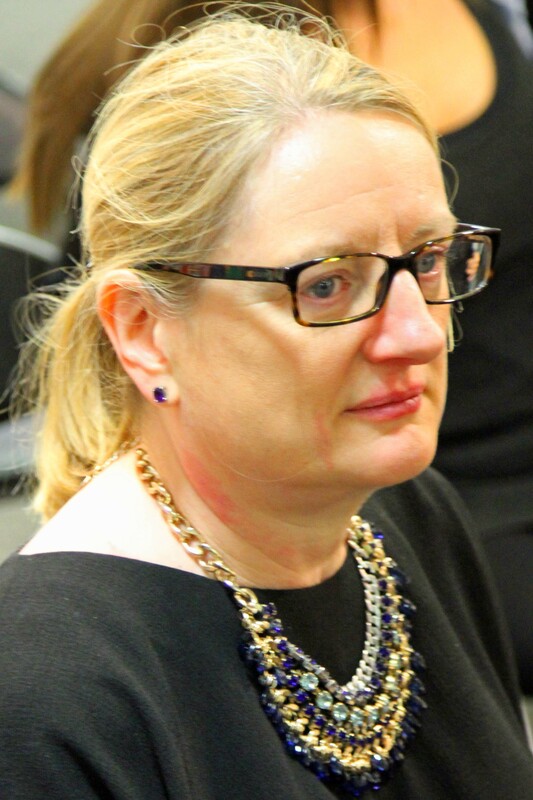 Very many thanks indeed to Alison Cassels and the rest of the staff at Wakefield One (not forgetting those who work in the Create coffee shop, which produces a mean cappuccino!) 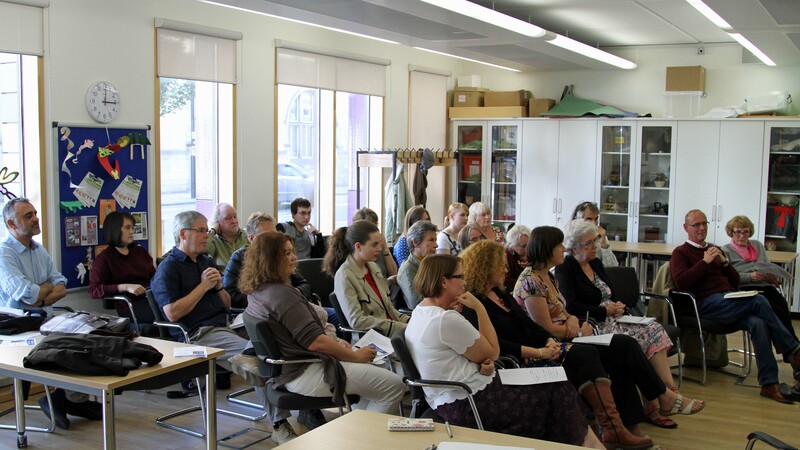 and heartfelt gratitude to all those who joined the workshop – I hope that you will become occasional or even regular visitors to this blog.